Our latest newsletter is out today and we’d like to reward our loyal newsletter subscribers, reading our stories every month. 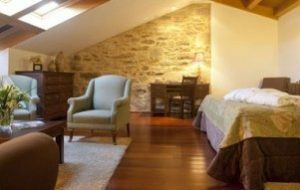 For those newsletter subscribers booking from today until 21st August (when our next newsletter is due), we’ll treat you to a hotel upgrade on your last night (in Santiago de Compostela or your finishing city) for free! This Special Offer applies to new bookings: Bookings must be done after our newsletter is issued today (7th August 2013) and by the 21st August (before our next newsletter is published). You must quote ‘Newsletter’ at the time of booking. Terms and Conditions Apply*, accommodation will depend on hotel availability and CaminoWays.com special offers can’t be combined or accumulated.